We are reigniting the shooting portion of our yearly project with a fresh start: P52.3: Perspectives. Each week, we will post a mosaic and an adjective - individual voices, unified around a common theme. Simple, streamlined and back to basics - our audience of ourselves is off to reclaim the joy behind the camera. We hope you enjoy this next step in our journey. This week our adjective is Fresh. The photo below was taken this past Saturday at my son's very first Little League tee ball game. At the age of four he's a fresh faced recruit to the world of team sports. Although his Daddy has been playing with him since he was in diapers, working on his catching and hitting skills, when it comes to hitting the ball in front of a crowd of people and running the bases -- well, that's a whole different ballgame. 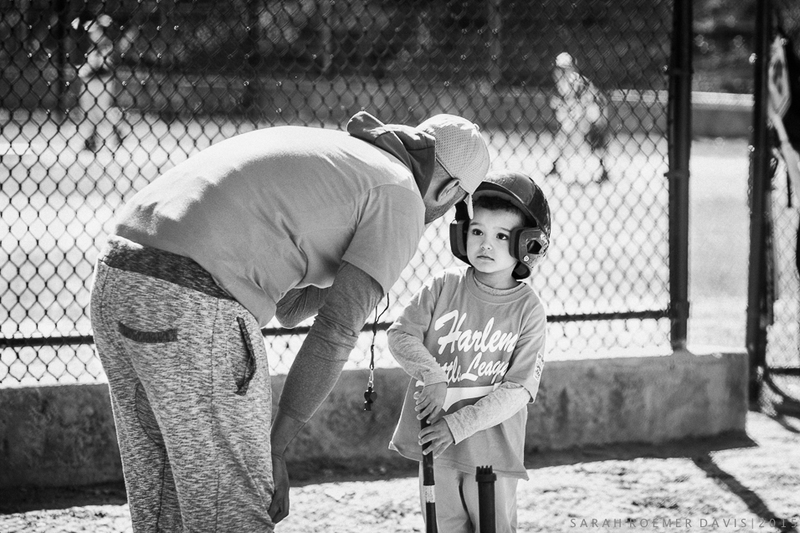 Being the youngest on the team, a pep talk from his coach gives just the right boost. Click HERE to visit our collective site, Who We Become, and see more FRESH images from this week.